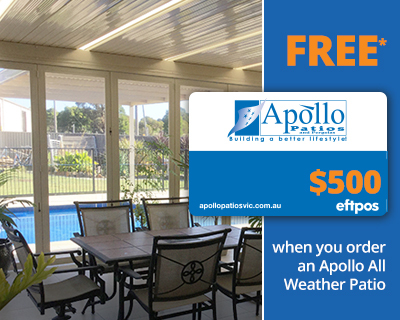 Join the Apollo Patios team in Victoria to begin an exciting journey with the market leader in patio construction. We specialise in home additions including patios, Decks, Glass & Screen Enclosures, with an established record of customer satisfaction for 26 years. We have created unbelievable client demand for our products & services and are seeking self-motivated individuals to join our team of installers, working on client’s projects with materials supplied to site, direct from the manufacturer. Have you always wanted to be in business for yourself without the complications of finding the work? Now for a small upfront investment you can have all that. Please fill in the form and someone will be in touch with you shortly! Want to join our team? We would love to hear from you.